Does your baby often wake up at night and find it difficult to fall asleep again? Do you wonder how you can help your baby sleep soundly? How do you ensure your baby sleeps in time? If these questions often play upon your mind, read this post. Baby sleep cues are subtle hints that your baby gives you, to let you know he needs to rest. However, most moms are unaware of these cues. 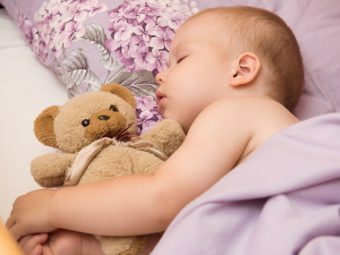 Read on and find out what these cues are so that you can ensure that your little one sleeps in time. Your baby may or may not find it easy to sleep, especially through the night or even during smaller nap hours in the day. 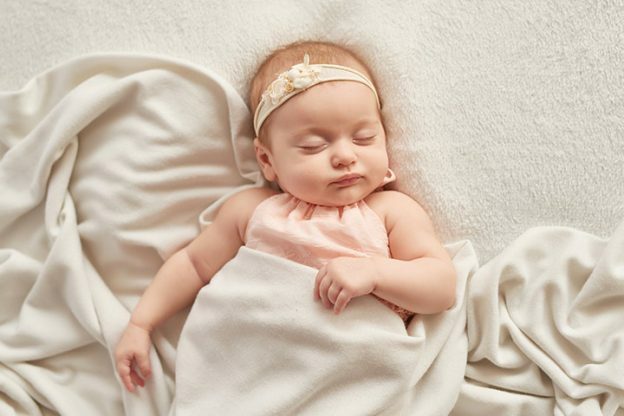 How much your baby sleeps will differ with age, weight and other factors. Also, it is important to remember that all babies have different sleep patterns. Do not compare your baby’s sleep pattern to another baby’s. Instead, look for the cues your baby gives you and get him to sleep on time. Frowning is one of the earliest signs your baby gives you when he begins to feel sleepy. That is the baby sign for sleep. Your baby may not understand the concept of sleep, even if he is tired. Frowning indicates that he is uncomfortable about something, but does not know what just yet. Your baby may experience tiredness or itchiness in the eyes, or general discomfort. But he doesn’t understand what he needs to do about it, he may end up frowning. You may think your baby is trying to copy you or mimic a sound he heard, but in reality, your baby could be giving you cues that he is sleepy. 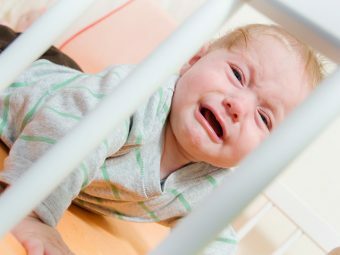 Your baby may make a sound that is more like a grunt, or in some cases, sounds like a growl. 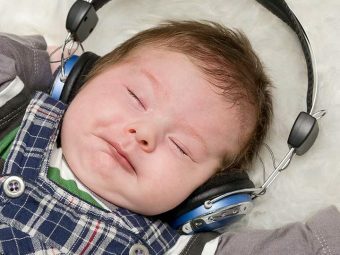 In some cases, your baby may make these sounds while busy in other activities too, like playing. If your baby reaches the point where he is extremely uncomfortable or tired, he will start crying or whining. The sounds may start slowly, and if not attended to on time, can increase in volume and intensity, growing into a full-fledged cry. When your baby feels sleepy or tired, he will often end up rubbing his eyes to remove the itchy feeling that comes with sleep. Your baby may rub his eyes with his fist, or try to poke his eyes with a finger. In either case, he will try and remove the ‘uncomfortable’ feeling that he has in the eyes. 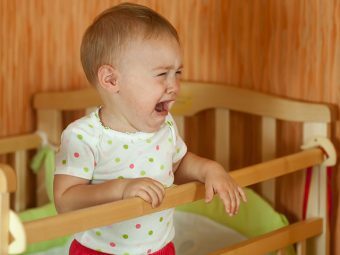 Your baby may start yawning, sometimes as a very tiny gesture that you can easily miss. That’s again the newborn sleep cues. Yawning is one of the biggest baby sleep signs that your toddler is tired and needs to be put to bed immediately. If you do not take the cue at the start, you will soon see your baby yawning loudly almost like an adult, and sometimes accompanied by a sound. When your baby feels too sleepy or tired, he might move his limbs around in jerky movements. You may notice this particularly with your baby’s arms, as he may not understand what to do with the sleepy feeling and end up thrashing his arms. Alternatively, you may notice a sudden slowing down of movement in your baby’s arms or legs, just after the wild thrashing. Just like rubbing the eyes, your baby may also scratch his ears as a sign of sleep. Your baby may vigorously rub his ears with his fist. He may also scratch his ears with his nails, often resulting in extreme scratch marks if not taken care of on time. Your baby may continue with the scratching, by moving to scratch his head once he starts scratching his ears. It could happen while your baby is playing. If your baby is too sleepy, he will stop doing anything else and only concentrate on the scratching. While this is a sign of sleep, ensure your baby is not suffering from any infections. Check his head for any signs of head lice. Scratching his head maybe the sign of infection in your baby, and you can easily mistake it for sleep cue. Once your baby is sleepy, he will only want to be with you. The infant sleep cues are many. He may start getting overly clingy and may protest when you try to get him down. Your baby may not want to be comforted by anyone other than you or the main caregiver. You may have just fed your baby, but your baby will start asking for another feed. Feeding – both breastfeeding and bottle feeding – are a source of your baby’s comfort. Feeding helps your baby to relax and calm down. Your baby may want you to feed him as a cue to sleep. Depending on your baby’s age and mobility, keep a watch out for the tiredness and sleep cues. While you think your baby will always give you cues when he is tired or sleepy, some babies are also known to be ‘happy wakers’. It means that your baby may feel very tired or sleepy, but may not show any obvious signs. It can be difficult for you to understand when your baby needs to go to bed. In such a situation, try and follow a pattern that will help your baby get into a routine. As you start noticing your baby’s sleep cues, you will know when your baby is likely to feel tired and sleepy. Try and take care of your baby before the signs become too aggravated. Help your baby relax before he gets over-tired or cranky. Sometimes, a certain activity or meeting too many people can make your baby feel overwhelmed or sleepy. Help your baby relax and avoid any signs of distress. How do you spot sleep cues in your baby? Does your baby exhibit any cues when he is sleepy? Share your experiences with other moms here. 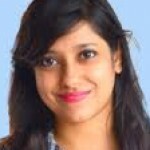 How To Sleep Train Your Baby Using Ferber Method?